ACM Design is a small, collaborative design firm that specializes in custom residential design. By integrating the disciplines of architecture, interior design and outdoor living design for new custom home design and renovations, we focus on creating an overall vision of home that reflects the individual personalities and priorities of the families we serve. We have had the privilege of working with clients from all over the country who have chosen to make a home here in the beautiful mountains of Western North Carolina. Over the years, our client base has expanded to serve families in other areas of North Carolina, upstate South Carolina and East Tennessee, all from our Asheville studio. For any successful project, collaboration is the key. Our studio is comprised of a small team of talented individuals, each bringing a particular expertise and knowledge to every home project. Simply put, our goal is to create well-designed homes that are comfortable and beautiful spaces in which to live — timeless homes balanced with quality, longevity and environmental sensitivity. Our office and team is proud to be apart of numerous organizations and affiliations both locally (in the Asheville area) and nationally. Since those early days, Amy has assembled a team of like-minded professionals, committed to excellence in design, quality, integrity, service and the ideal of creating home. When not designing homes, Amy enjoys traveling with husband, Steve and visiting daughters, Rebecca and Julia, who are both college students. She nurtures her creative side by gardening, watercolor painting, and soul collage and keeps herself strong by running and biking. Amy has served on the Board for AIA Asheville, as well as on the Education Committees of AIA North Carolina and Asheville Homebuilders Association. Growing up in rural Western North Carolina, Miles spent a large amount of his time on construction sites with his father, working in roles from finish carpentry to managing HVAC projects. This, coupled with early experiences at Penland School of Craft provided a key foundation upon which a passion for architectural design would later flourish. After completing his undergraduate at Appalachian State University, Miles went on to pursue his Masters of Architecture at Boston Architectural College. While in Boston, he worked at historical KMW Architects on numerous international and domestic institutional projects. After continuing to work with numerous commercial and residential firms throughout the Northeast, Miles was invited to return to his alma mater at Appalachian State University to teach courses in Interior Design, Construction Technology, and Architectural design. Miles has most recently settled back into a professional role practicing design at ACM Design, where he hopes to make a meaningful contribution back to the local vernacular which had such an early impact on his role as a designer. He enjoys restoring vintage motorcycles, reading, and traveling with his lovely wife, Rachel. As an Asheville native, Grace grew up exposed to the art and culture this area has to offer. 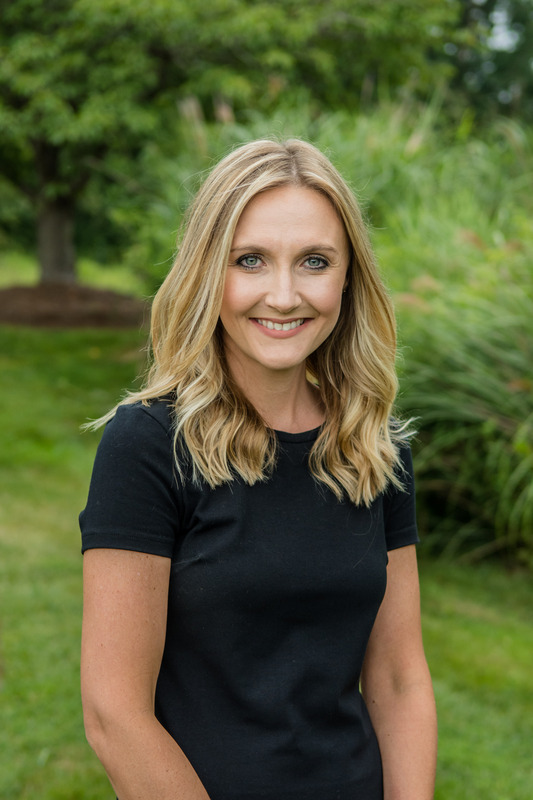 She pursued an interest in design when she attended Western Carolina University and graduated at the top of her class with a Bachelor’s of Science Degree in Interior Design. She gained the majority of her experience working at a residential interior design firm where she served the role of a lead interior designer and also the firm’s computer drafting specialist. Working on plan design projects quickly produced an interest in architecture, which lead to the transition to her position at ACM Design. Now she has found the perfect balance for her creative eye and technical skills. In her free time, Grace enjoys traveling, painting, and tackling her next DIY project. A native of Asheville, Heather Radford, graduated from TC Roberson High School and obtained a Bachelor of Science Degree in Business Administration with a concentration in Marketing from the University of NC in Asheville. She continued her post baccalaureate education at Western Carolina University, graduating with a Master of Entrepreneurship degree. After completing her educational degrees, Heather worked for several local businesses on marketing projects, but focused the majority of her attention on growing her family, welcoming son, Kaegan, in 2008. Since 2010, Heather has been with ACM Design as a Design Specialist and Marketing Assistant, helping the firm with a variety of creative tasks as well as growing the firm’s presence in the Western North Carolina market. With a strong eye for design herself, Heather found the perfect balance between marketing and design with ACM Design. A native of Ft. Walton Beach, Florida, Margaret was educated at Troy State University. Partnering with her husband, she owned and operated a thriving restaurant in Troy, Alabama, where she managed all aspects of accounting and payroll. She and her family relocated to Asheville 24 years ago. Margaret worked with Genova Diagnostics in their Human Resources department for 14 years before joining the team at Carolina HR Partners as Director of Administrative Services in 2004. In addition to her role at CHRP, Margaret has worked with ACM Design since 2004 to manage the billing, bookkeeping, human resources and administrative functions for the firm. Her expertise in these areas makes her an invaluable asset to ACM Design. In her free time, Margaret likes to spend time with her family. She loves animals, especially her beloved golden retriever, and time at the beach.